Kt Kingtronics has been keen to some charity social activities. 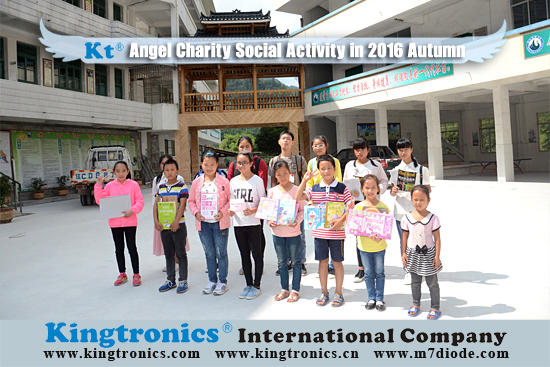 In 2016 Autumn, we will keep to organize an Angel Charity Social Activity, donating a part of funds to help some children in school at Guilin province. The funds are collected from each of Kingtronics team members. As the saying goes “You may be more happy than princes, if you will be more virtuous.” We help them at much as we can, even a small help, children will feel our love. If you want to join our meaningful activity, welcome to send email to us at info@kingtronics.com. We believe your participation will make this activity be more better!